Asking the question “should the church be ‘institutional’ or ‘organic’?” is like asking whether or not light is made up of particles or waves. Light has the properties of both particle and wave. So in one instance it may be more useful to study light as a photon moving through space, while in another instance it may be more useful to study it as a wave of energy. It is the same with the idea of “church.” Some aspects of “church” seem organic and almost unstructured, while other aspects of church would be virtually impossible to achieve without administrating some kind of plan and organization! There are at least two mistakes available to us as we build local church communities. On the one hand we can be so afraid of being “institutional” that we refuse to practically organize to achieve the duties and goals for which the local body is responsible. On the other hand, we can so desire order that we stamp out the dynamic and organic “alive and growing outside of precise human control” element of church life. 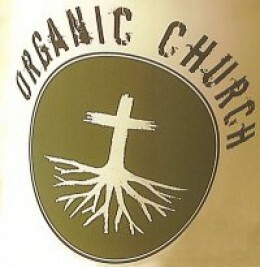 So the answer to the question “is church organic or is it institutional?” is “yes!” Church is an organic, dynamic, living institution! Sometimes there seems to be a fear of being an “institution” because that word is associated with buildings or legal structures. Establishment; that which is appointed, prescribed or founded by authority,and intended to be permanent. Thus we speak of the institutions of Moses or Lycurgus. We apply the word institution to laws, rites, and ceremonies, which are enjoined by authority as permanent rules of conduct or of government. A system, plan or society established, either by law or by the authority of individuals for promoting any object, public or social. We call a college or an academy, a literary institution; a bible society, a benevolent or charitable institution; a banking company and an insurance company are commercial institutions. 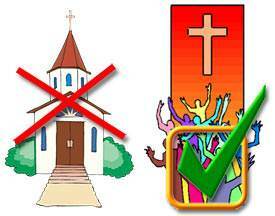 The Local Church Body has been “instituted” or established by God. It has goals and purposes. It has traditions and methods appointed by God. It has a leadership. It has tasks to perform. It is alive, growing, and multiplying organically. The kind of leadership appointed by God is not top-down and controlling; but rather operates more like shepherds, farmers, trainers, and equippers. The Local Church Body is an Organic Institution. There are Elements of Equipping Leadership: Pastors and Teachers (Shepherds or Elders), Apostles (Foundation Layers, Traveling Builder-Uppers of the Church, Missionary Pioneers), Evangelists (Bringing in New Believers and Equipping the Body to do the same), Prophets (Bringing Words from the Lord in Season and Equipping the Body to do the same). There are also Elements of Administrative Leadership: “Deacons.” Those who administer the distribution of aid to those in need who can not be cared for by their family. Financial administrators. Administrators of any of the common property of the Body. Administrators of Events or Activities. Organizers of Food. Etc. If there is going to be any life to this “church” thing there will be things that need to be organized! If the organizers try to grab control rather than trying to guide the living flow then the organic life is at risk of being stamped out. If the life givers resist any attempt to order, plan, and strategize then the overall effectiveness of the body will be limited. Order and Liberty, Power and Structure, Flow and Guidance, Participation and Leadership, Grass Roots Born and Spoken into being by Visionary Leadership. All of these dynamics and orders can be seen in the Scriptures. We need Power and Form. Spirit and Truth. What are your thoughts? Do you agree? Disagree? Do you have anything to add to the discussion? Leave your thoughts in the comments below.